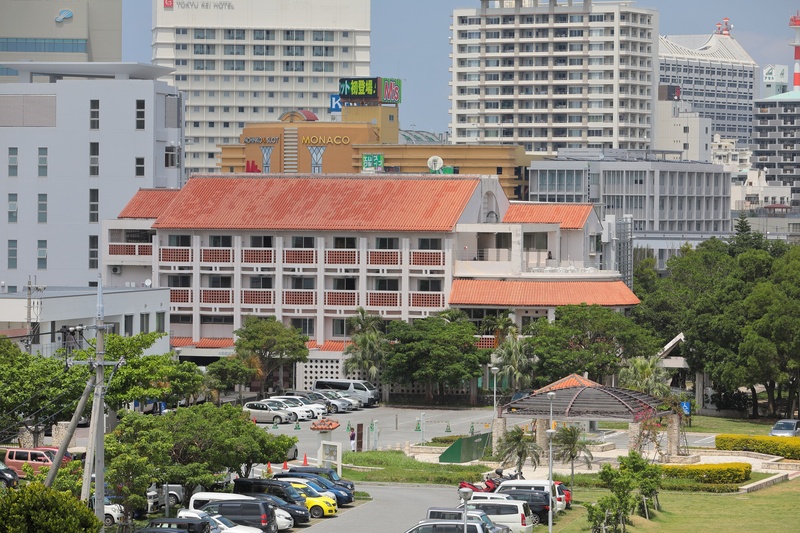 About a 10-minute drive from Naha Airport , is a convenient accommodation to access . When you pass through the gate, you will find map. Please make sure where the hostel is, and go to west exit. You will see the bridge from station. Walk along the field on your left side and go left when you see the sign on the picture. The back door of the hostel is next to vending machine. Please mind your step when it is wet. © 2019 Okinawa international youth hostel.